Home / EU funding opportunities / SWAFS Call for Proposals Will Be Published Soon! 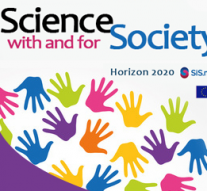 The Science with and for Society is one of the horizontal line of funding within the Horizon2020 programme aimed at consolidating cooperation between science and society, promoting responsible research and innovation, as well as culture, scientific education and public confidence in science. The SWAFS Work Programme 2018-2020 has been developed to reflect and support the evolution of science and society and the increased emphasis on their interplay at national and EU levels. It will contribute to the implementation of Responsible Research and Innovation (RRI) through institutional governance changes in Research Performing (RPOs) and Funding Organisations (RFOs), focusing on developing new partnerships and involving researchers, policy makers, citizens and industry. It will step up support for gender equality in R&I policy by promoting institutional changes and focusing on key areas of research to advance gender equality. It will build on the territorial dimension of SWAFS partnerships by opening up R&I broadly to society according to specific territorial contexts, where territories are understood as geographical areas sharing common features (e.g. economic, social, cultural, environmental). It will explore and support citizen science in a broad sense, encouraging citizens and other stakeholders to participate in all stages of R&I. Finally, it will build the knowledge base for SwafS through a combination of totally bottom-up and open topics and targeted topics including two looking for the first time at science communication and due and proportionate precaution. On 11 December 2018, the following calls for proposals will be published. Deadline for submission is on 2 April 2019. Next Article » A Common Past to Build a Common Future?